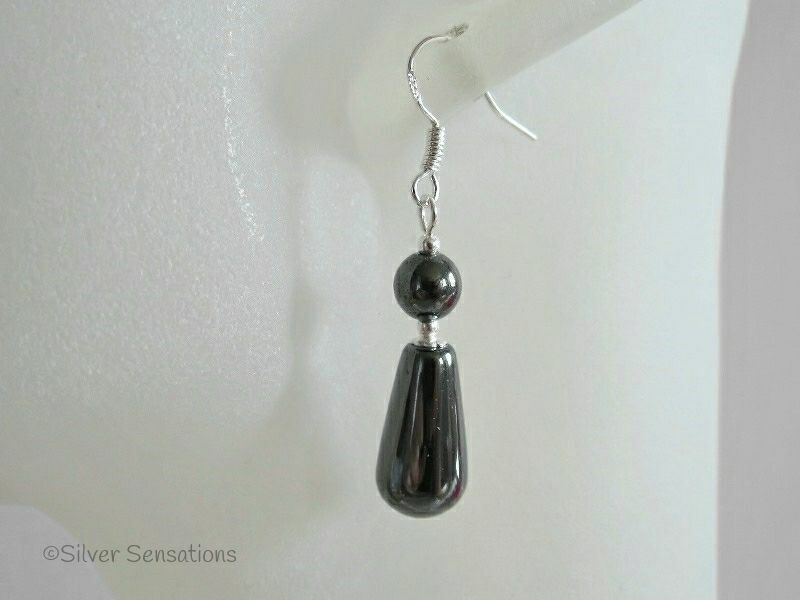 These elegant handmade earrings feature Hematite round drop beads which are 16mm x 8mm. 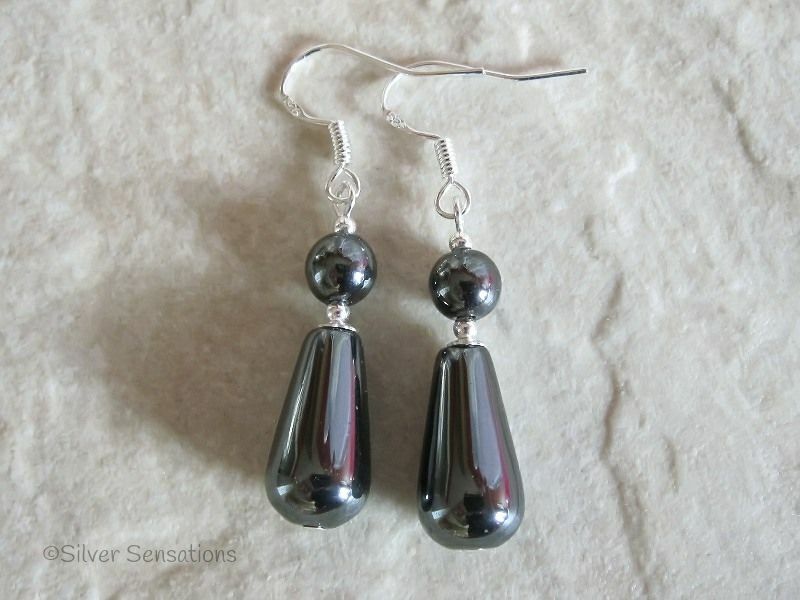 On top of these beads are matching 6mm round beads. On top of each bead are Sterling Silver daisy bead caps and round beads. 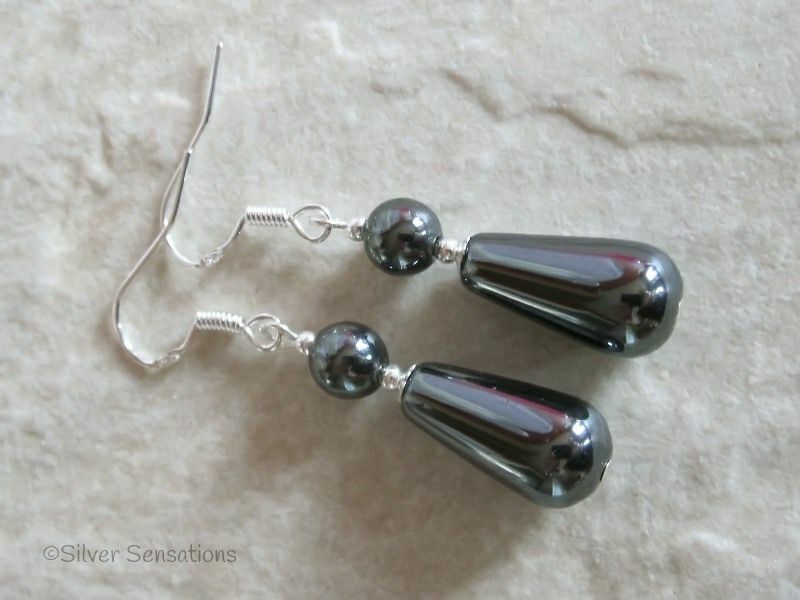 Hanging from Sterling Silver headpins & ear wires, these pretty earrings measure 35mm in length. 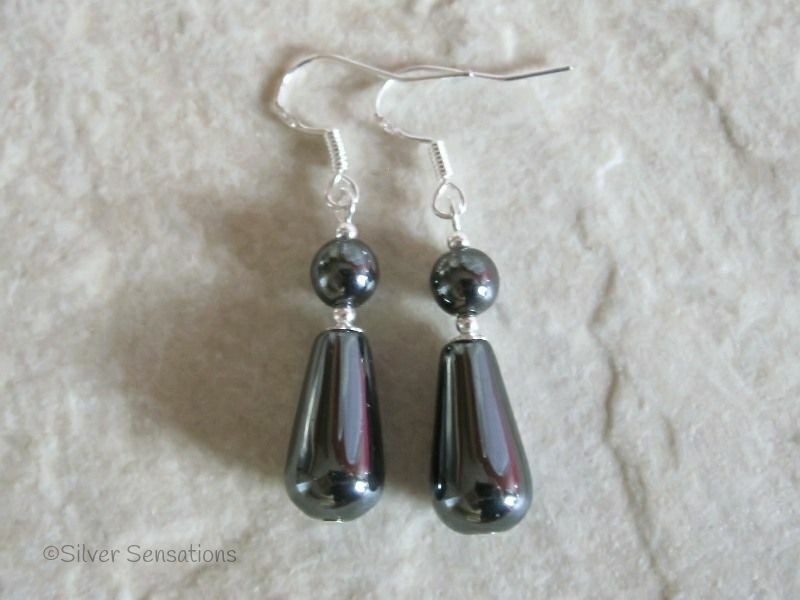 These sophisticated earrings could be worn to work or for an evening out, they are so versatile.